Welcome to Racer-Cardz – "The Auto Themed Card Game for everyone!"" "The Auto Themed Card Game for everyone!"" Drive In and Pick Up….some RacerCardz and get…. 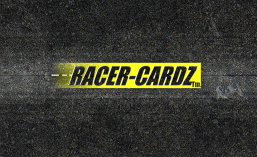 Put your own card in RacerCardz for free!!! The “New Max Interceptor” is here!!! The BlakeZ “Bear in the air” is gonna get ya!!! Go get your copy of RacerCardz, while they last….. Complete printed game is here finally!!! Race-Cardz is getting an adjustment…. 0-60 cards in a little over a year! One year and still racing….!!! 1st Set is almost ready for print! All RISE!!! The Justice of the Peace is on the road…. Watch out for those Night Drones and Carjackers…. Here is a list of the Themed decks we are developing.